RCC Business IT is integrating a new AV software into our systems that will protect our clients from viruses and malware. 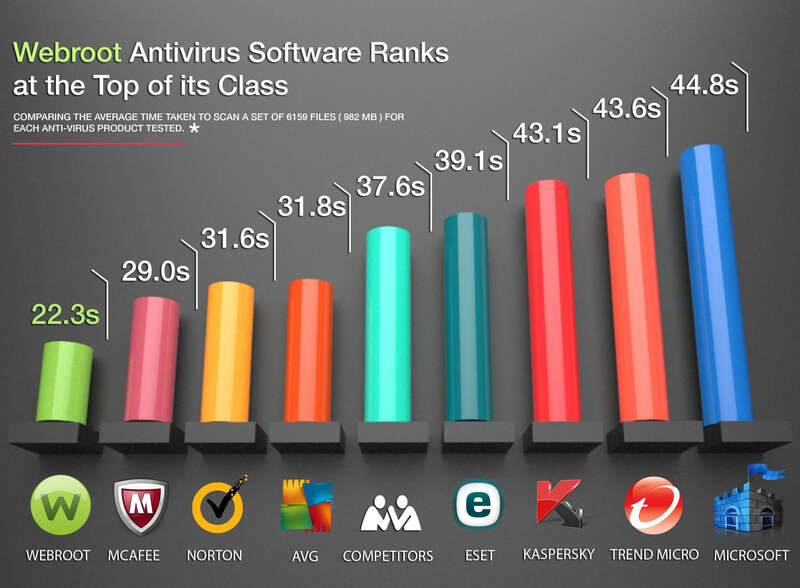 Webroot is an antivirus software that is currently the market leader and ranks at the top of its class in a number of pertinent categories. It not only protects your network from the “bad stuff,” it also speeds up browse time, file transfers, and system scans. RCC Business IT wants to give all of our clients, big and small, an opportunity to utilize Webroot for their network security system. We have introduced an all-inclusive plan that will update your current anti-virus software to Webroot. It will include: 24-7 surveillance on your network, patch management, AV management and DNS management (content filtering). Just to give you more information about our AV management, we stacked Webroot against some common competitors to see how it ranked. Based on a study done in 2015, here’s what we found. Quickest Installation Time! Right out of the gate, Webroot finishes a complete installation in 5 seconds! In second place ranks Trend Micro WFBs with an install time of 183 seconds! Smallest Installation Size. Webroot utilizes 2MB’s on your computer. This includes total disk space and all new files added during the product installation. The next closest competitor, Microsoft System Center EP, uses 237MB’s. Quickest Scan Time. This one is self-explanatory. You want to know ASAP if your system has a virus. Webroot can perform a basic scan in 1 minute and 12 seconds! Quickest Scheduled Scan Time. For a full scheduled scan, Webroot takes only 91 seconds! This means it will scan your entire system for malware and viruses. Lowest Boot Time. Anti-malware software performs an initial scan in the start-up before your computer is ready to use. This is called “boot time”. Webroot averages 23.3 seconds to perform this operation. The next closest competitor is Sophos Cloud with a 26 second boot time. Lowest RAM (Memory Usage) During Initial Scan. Webroot utilizes 12MB’s during the initial scan vs their next closest competitor, Trend Micro WFBS, at 107MB’s. Least amount of RAM Used During System Idle. Webroot only uses 5.5MB’s while the next in line, Kaspersky Endpoint Security, uses 39.1 MB’s. Webroot also ranks at the top in following categories. Quickest File Copy, File Move and File Delete time. Quickest File Compression and Decompression Time! Quickest File Write, Open and Close Time! 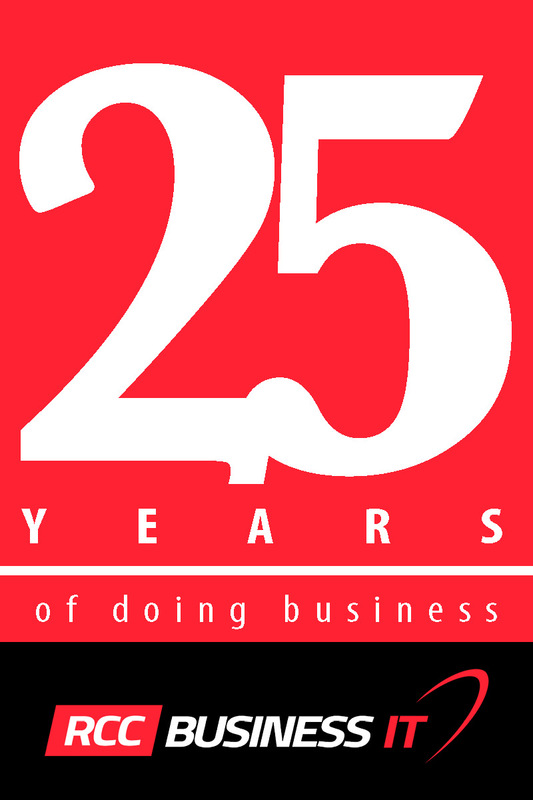 If you are interested in updating your current Anti-Virus software or want to learn more about RCC Business IT’s Managed Services, call us at (586) 752-5158 OR contact us today.